American cars and V8 thunder have always had a special place in our hearts, and we are looking forward to special presentation of the most powerful serial "muscled" of all the time, which earlier this year introduced the Dodge. Challenger Hellcat, a beast with 707 horsepower is definitely one of the most interesting of this year's news in the automotive world, but it seems that these new people at Ford did not really sat down. 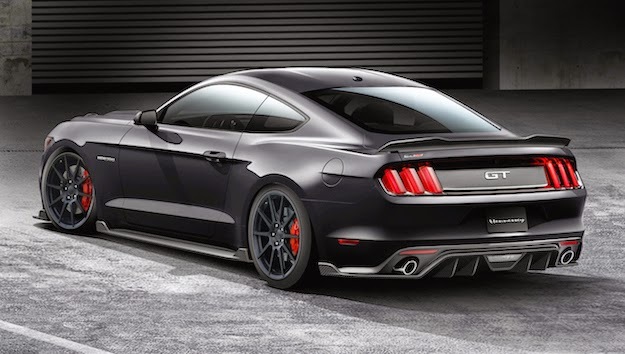 We knew the answer to the competition will not be a long wait, but what we did not know is that Ford will join forces with Hennessey, the manufacturer is currently the fastest production car in the world. 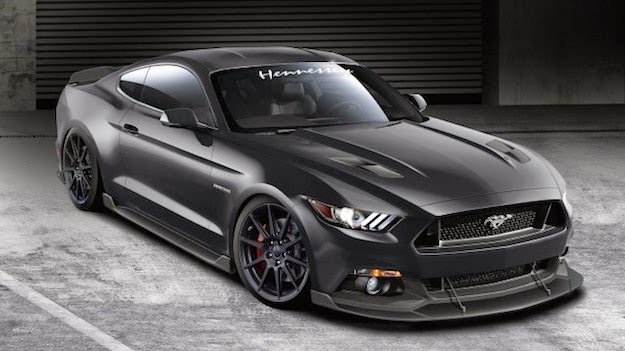 The result of this collaboration is the Mustang that will hide under the bonnet even 717 horsepower. Yes, you read it right, 717 horses from a 5.0-liter V8 engine, this is a strong message to Dodge, on the top there's only room for one. The key to this power lies in the mechanical compressor by which the power of the serial 435 horses raised on the aforementioned 717 horses, with an increase in torque from 542 Nm to over 850 Nm. 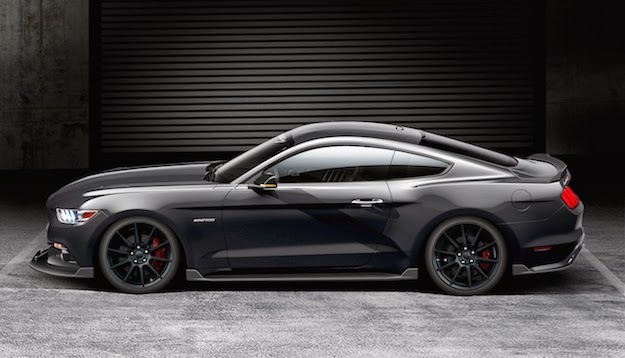 All this cavalry will allow the Mustang accelerates to 100 km / h, in just 3.6 seconds and 402 meters will tumble to 11.2 seconds with an output speed greater than 210 km / h. In addition to modifications to the engine, the Mustang is equipped with new wheels and tires, and the list is lengthy and modification of the body in the form of carbon additives. We believe that these exactly 10 horsepower more, competition from Dodge could be understood as a kind of provocation, so we do not exclude their response in due course. All in all, it could be interesting.